International Golf Specialists are the experts in developing and hosting golf-related travel packages and tours. With first-hand knowledge of our destinations and our relationships with local golf courses and hotels, we are able to create personalised golf travel for golfers and non-golfing partners. Based on your personal requirements, specially tailored golf packages and tours can be created to golfing destinations anywhere in the world, catering for small to medium sized groups of up to 40 people. We always want your travel and golf experience to be truly memorable and we offer tour hosting services for larger groups to ensure the only thing you need to focus on is your golf game. International Golf Specialists currently specialise in golfing destinations in South East Asia including Bali, Singapore and Thailand. 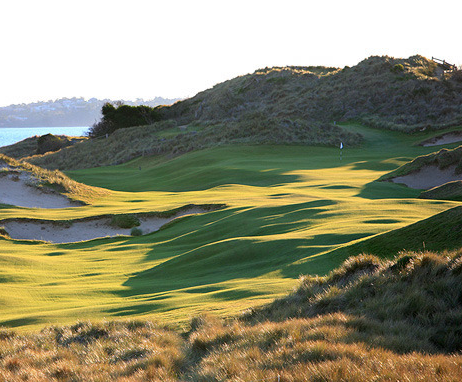 We also package golf tours to New Zealand and certain Australian destinations like Barnbougle Dunes in Tasmania, the Hunter Valley in New South Wales and the great resort courses of Perth, Western Australia. Our ‘Work with Pleasure’ tours provide businesses with a rewarding golfing getaway for their staff or customers as well as providing facilities such as meeting and function rooms at local accommodation to ensure the corporate aspects of the trip are taken care of. “The best exercise for golfers is golfing”!